The proliferation of electrosmog is an imminent threat to physical health on the planet, because humans and animals have not yet developed the ability to cope with the volume and intensity of these frequencies. Electricity has completely changed the way we live and work. It has permeated every area of our lives. Today, we are engulfed in Wi-Fi, microwaves, radio waves, dirty electricity and other frequencies that congest the airwaves, causing what is known as electrosmog. The proliferation of electrosmog is an imminent threat to physical health on the planet, because humans and animals have not yet developed the ability to cope with the volume and intensity of these frequencies. Strong links exist between radiation exposure and the explosion in autism and cancer rates, with the U.S. leading the Western world. Did you know that your electric utility’s “smart meter” is one of the main sources of radiation pollution in your home? Since smart meters were installed on consumer homes, many people are reporting symptoms of deteriorating health. And it is not surprising — one smart meter emits hazardous radiation at levels between 60 and 150 times those of a cell phone and up to 190,000 times per day. These meters were marketed to consumers as a tool to monitor electricity use, which would result in savings to consumers; however, the facts indicate otherwise. 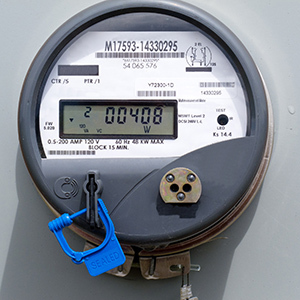 While these meters transmit electric usage information directly to the power utility and save the utility the cost of sending out meter readers, many consumers find their electrical bill spiking after installation because smart meters use electricity to transmit information to the utility company every few seconds. These and other wireless signals penetrate walls and buildings and are re-radiated throughout homes and businesses by electrical wiring, metal plumbing, gas lines and metal fences that effectively serve as antennae. According to some scientists, smart meters are pushing the levels of electrosmog over tolerable limits for many individuals. Researchers expect to see cancer rates double over the next five years in the U.S. — a rather dubious distinction in a country that already leads the Western world in cancer rates. Increasing numbers of individuals are developing EHS, a recognized medical condition, in response to the accumulation of radiation and EMFs in the body. According to the World Health Organization (WHO) and the American Academy of Environmental Medicine (AAEM), the cumulative damage caused by exposure to these sources of electrosmog affects patients in areas where they are most vulnerable. The symptoms are listed below. Neurology: headaches, dizziness, nausea, difficulty concentrating, memory loss, irritability, depression, anxiety, insomnia, fatigue, weakness, tremors, muscle spasms, numbness, tingling, altered reflexes, muscle/joint pain, leg/foot pain, flu-like symptoms and fever. More severe reactions can include seizures, paralysis, psychosis and stroke. Cardiology: palpitations, arrhythmias, chest pain or pressure, low or high blood pressure, slow or fast heart rate, shortness of breath. Dermatology: skin rash, itching, burning, facial flushing. Ophthalmology: pain or burning in eyes, pressure in or behind eyes, deteriorating vision, floaters and cataracts. Other symptoms: digestive problems; abdominal pain; enlarged thyroid; testicular/ovarian pain; dryness of lips, tongue, mouth, eyes; great thirst, dehydration; nosebleeds; internal bleeding; altered sugar metabolism; immune abnormalities; redistribution of metals within the body; hair loss; pain in the teeth; deteriorating fillings; impaired sense of smell; ringing in the ears, inflamed or swollen lymph nodes. A great deal of research has been done on EMFs — and the results are scary. One comprehensive source of information is the BioInitiative Report 2012. Written by 29 independent scientists, researchers and health policy professionals from 10 different countries, this 650-page report cites more than 1,800 recent studies with clear evidence that numerous health issues, including DNA breakage and cancer, are created by exposure to radiation from cell phones, cell towers, power lines and Wi-Fi. The report presents chilling evidence to the unseen dangers of electrosmog. In the U.S., one out of every 52 children is now diagnosed as autistic. The BioInitiative Report devotes an entire section on autism, explaining how radiofrequency radiation damages the brain and neurological systems of embryos, fetuses and children. Wireless smart meters produce atypical, potent and very short-pulsed radio frequencies and microwaves whose biological effects have never been fully tested. 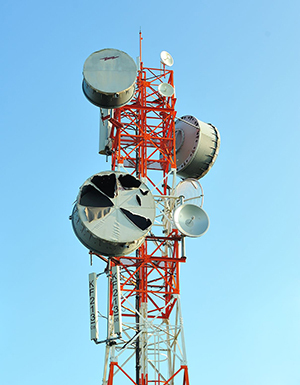 Sage Associates, an independent research team, issued the report “Assessment of Radiofrequency Microwave Radiation Emissions from Smart Meters.” It concluded that smart meters often violate Federal Communications Commission (FCC) safety standards — outdated standards that are already more than 3-million times higher than limits internationally. The U.S. FCC limit for radiation is the highest in the world: It is 3,333,333 times higher than the upper limits for sensitive populations set by the BioInitiative Report at 3.0 μW/m2. Set back in 1996, these standards were based on studies with healthy 6’2”, 220 pound males exposed for short periods of time to a single source — very different from the situation with smart meters, in which women, children and people in fragile health are continuously exposed to radiation, often from more than one smart meter. Furthermore, the regulations only tested for thermal damage — and the true health risks researchers are finding are from non-thermal effects. Also, other sources of radiation (such as Wi-Fi, cell phones and other wireless devices present in today’s homes) were not present in the testing. For all these reasons, the Sage Associates’ report strongly cautions that smart meters are unsafe. A growing body of research shows that smart meters emit between 60 and 150 times the frequencies of a single cell phone. Wireless smart meters produce atypical, potent and very short-pulsed radio frequencies and microwaves whose biological effects have never been fully tested. They emit these millisecond-long frequency bursts on average from 9,600 to 190,000 times daily, at a peak emission level two-and-one-half times higher than the stated safety signal, as acknowledged by the California utility Pacific Gas and Electric before that state’s Public Utilities Commission. Thus, people in proximity to smart meters are at risk of significantly greater aggregate exposure than with a cell phone, not to mention the cumulative levels of radio and microwave frequencies affecting people living nearby. A growing number of international organizations have issued strong cautions about all technologies that emit radiation similar to that of smart meters, including the Council of Europe, the European Environment Agency, UK Trades Union Congress, the International Commission for Electromagnetic Safety, and the Russian Commission for Electromagnetic Safety. The UK Report calls for withdrawal of all Wi-Fi in schools because of numerous health risks to children’s developing brains and nervous systems. The WHO and the National Toxicology Program have also studied the effects of non-thermal radiation on human health. Their updated findings indicate that, among other things, radiation can significantly increase the risk of cancer, fetal abnormalities, neuro-degenerative disease and glioma, a deadly brain tumor. They have classified radio frequencies as a possible carcinogen in the same category as lead and DDT. Most recently, citing the substantial scientific literature on the subject, the AAEM called for an immediate moratorium on installing smart meters due to radiation health risks. What can you do about electrosmog? Step 1: Educate yourself. The first step is to educate yourself on the facts. If you care about your health and the health of your family, you cannot afford to passively accept the promotional material put out by utility companies. What you do not know could kill you. Visit the archives at ElectromagneticHealth.org to learn from Dr. Dietrich Klinghardt how radiation causes autism and permanent, irreversible cellular damage. On the website, you can also access the findings of leading scientists on the dangers of radiation. The Center for Electrosmog Prevention, a nonprofit organization, has current public health alerts for smart meters and cell phone safety at ElectrosmogPrevention.org. Since many media outlets have refrained from reporting on the problem, crowd funding helped pay for the production of Take Back Your Power, an independent documentary on the issue that you can access at TakeBackYourPower.net. You can also find out how many radio towers and antennas are operating in a four-mile radius from your home by entering your address at AntennaSearch.com. You may be shocked at the high numbers of devices emitting radiation around your home. Step 2: Have your smart meter removed. Contact your power company and tell them how the smart meter has impacted your health. Get a letter from your doctor if you need to and insist they replace it with a non Wi-Fi or analog meter. If your utility is not willing to work with you, you can purchase a Faraday cage to block 98 percent of the harmful radiation from your smart meter at MeterGuard.com. You can also join a citizens’ coalition near you to sign petitions to have smart meters removed. U.S. citizens are encouraged to file complaints with the U.S. Consumer Products Safety Commission. If you have or had smart meter health problems, call 800-638-2772, Monday thru Friday from 8 a.m.-5:30 p.m. ET, or submit your complaint at SaferProductsOnline.gov. They will record your complaint and pass along the information to the FCC and the FDA as well. Every complaint adds to the body of evidence needed at the government level to take action. Step 3: Clean up dirty electricity input. Next, take action to clean up the global energy input to your home. Hire an electrician or buy an EF/RF/EMF meter and measure the levels of noise and static from dirty electricity in your home. Install a wired-in electricity capacitor, such as the static capacitor, on your breaker panel to modulate all electric inputs and to clean up dirty electricity. Such units offer global surge protection, while they also condition your power lines, reduce electro-magnetic frequencies, regulate voltage, and reduce negative harmonics and electric consumption up to 30 percent. Step 4: Clean up radiation seepage from your outlets. Your home’s electrical wiring and copper water pipes can serve as an antenna to amplify electrical noise to dangerously high EMF levels. Use a Graham-Stetzer meter to determine remaining radiation levels from cables and electric outlets, and install plug-in Graham-Stetzer EMF filters at all areas where radiation still measures above 30 units on the G-S meter. Step 5: Eliminate Wi-Fi in your home. If you can pick up the Wi-Fi signals of six other neighbors, those emissions are also radiating into your space, adding to the cumulative radiation in your environment. If you have already developed radiation sensitivity, it is important to eliminate unnecessary exposure to Wi-Fi in your home. Opt for Ethernet cable connections instead. Step 6: Get rid of cordless phones at home. Digital Enhanced Cordless Telecommunications (DECT) cordless phones represent the third-leading source of EMF pollution after smart meters and Wi-Fi. They continuously emit microwave signals between 1880 MHz and 1930 MHz around the clock, whereas you can turn your cell phone off or put it on airplane mode. If you want to sleep at night, you really need to eliminate these devices at home. If you really cannot live without your cordless phone, get an eco-DECT cordless model. These models still emit radiation, but have two advantages: The nearer the handset is to the base when on eco mode, the less radiation is emitted and the less you are exposed. The base does not emit radiation when the phone is on standby. Step 7: Protect your personal energy field. You may also need to protect your body’s electromagnetic field when in public spaces, near transmission towers, power lines or surrounded by Wi-Fi. These intrusions scramble your innate frequencies, resulting in the symptoms or disease conditions discussed earlier. To do this, you can invest in a personal BioElectric shield, which is a finely tuned modulating unit developed using Bragg’s Law technology. A personal BioElectric shield attunes to your body’s unique biomagnetic field and then operates like a personal static capacitor to modulate dissonant frequencies in your immediate environment. Step 8: Get grounded. One of the factors of modern life is that we seldom experience the grounding offered by being barefoot on the earth. Research indicates that symptoms of inflammation, sleep disturbances and electrosmog hypersensitivity can be alleviated by sleeping in a grounded environment. You can derive the benefits of grounding by sleeping grounded or by spending some barefoot time on grass daily. Escalating levels of electrosmog are creating an invisible epidemic that can rob us of health, vitality and life force. The good news is that with the proper information, we can protect ourselves. Ada Porat is an energy kinesiologist and life coach who helps people live their best lives. 602-283-4628 or AdaPorat.com. Reprinted from AzNetNews, Volume 32, Number 6, December 2013/January 2014.